Working Distance Upto 10 M.
Tackle your workouts in major style with the Zakk Firefly Bluetooth Headset with LED Light Cable. This black and green headset won’t only complement your workout attire, it will also amaze you with the beautiful sounds coming out of it. Simply, connect your smartphone, tablet, MP3 Player or any other multimedia device to the Zakk Firefly Bluetooth Headset with LED Light Cable and enjoy a musical performance that will make you feel as if you are listening to your music live in a concert. Thanks to the Audio Evolved Innovative Pure Sound technology, you will enjoy your favorite tunes loud and clear, whenever and wherever you want. Whether you are off to the gym, out for a run around the street, or off on one your wild adventures or trips, the Zakk Firefly Bluetooth Headset is guaranteed to have your back. 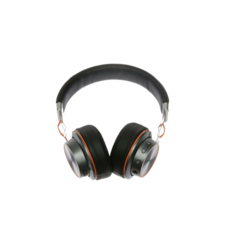 The powerful battery this headset boasts will power through up to 6 hours of playtime which gives you the freedom of moving around without worrying about your earphones battery life! 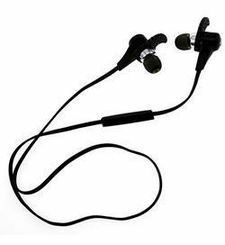 Completed with a water resistant and sweat-proofing, the Zakk Firefly Bluetooth Headset with LED Light Cable is guaranteed to endure even your most rigorous workout sessions, running under heavy rain, and a few splashes here and there. The green LED lit cable will look uber-cool wrapped around your neck while the built-in microphone will allow you take calls whenever you want. 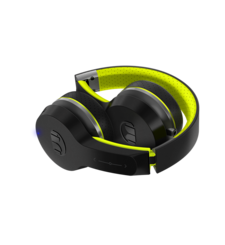 The Zakk Firefly Bluetooth Headset will soon become a workout essential and a gym companion. Why listen to your favorite beats normally when you can do it in major style? 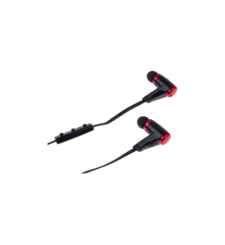 The Zakk Firefly Bluetooth Headset with LED Light Cable will bring major style into your listening experience with its unique LED lit cable. You will be able to run safely, even at night. Drive yourself forward and enjoy premium sounds, even when you are up to 10 meters away from your multimedia device. Being unrestrained and free to move is now combined with major style! 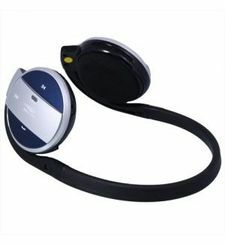 The Zakk Firefly Bluetooth Headset with LED Light Cable will become your constant entertainment companion. Whether you are at work, at the gym, chilling at home or going out for a walk, Zakk Firefly Bluetooth Headset with LED Light Cable will give you 6 hours of listening to your favorite beats, non-stop! When you run out of charge, the headset can recharge in no time thanks to the quick charge feature. Just plug the Zakk Firefly Bluetooth Headset to an electricity source and recharge your headset for your next using time. Groove, dance and jump to the beats playing in your ears without worrying about the cable stopping you! Connect your mobile, tablet, PC or laptop to your Zakk Firefly Bluetooth Headset with LED Light Cable through Bluetooth and enjoy a cable-free experience! You can now move freely up to 10 meters away from your device without a single worry and without disturbing your connecting in the slightest bit. Tackle your workouts in major style with the Zakk Firefly Bluetooth Headset with LED Light Cable. This black and green headset won’t only complement your workout attire, it will also amaze you with the beautiful sounds coming out of it. Simply, connect your smartphone, tablet, MP3 Player or any other multimedia device to the Zakk Firefly Bluetooth Headset with LED Light Cable and enjoy a musical performance that will make you feel as if you are listening to your music live in a concert. Thanks to the Audio Evolved Innovative Pure Sound technology, you will enjoy your favorite tunes loud and clear, whenever and wherever you want. Whether you are off to the gym, out for a run around the street, or off on one your wild adventures or trips, the Zakk Firefly Bluetooth Headset is guaranteed to have your back. 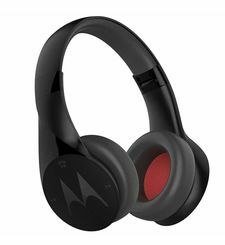 The powerful battery this headset boasts will power through up to 6 hours of playtime which gives you the freedom of moving around without worrying about your earphones battery life! 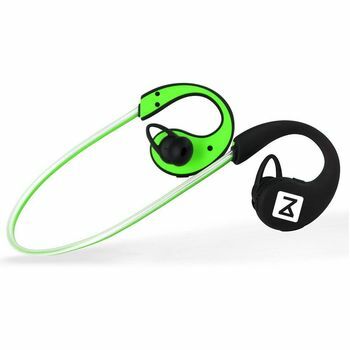 Completed with a water resistant and sweat-proofing, the Zakk Firefly Bluetooth Headset with LED Light Cable is guaranteed to endure even your most rigorous workout sessions, running under heavy rain, and a few splashes here and there. The green LED lit cable will look uber-cool wrapped around your neck while the built-in microphone will allow you take calls whenever you want. 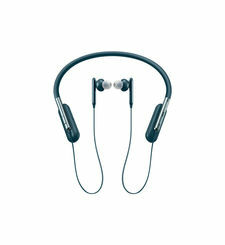 The Zakk Firefly Bluetooth Headset will soon become a workout essential and a gym companion. LOOKING WILD. FEELING FREE Why listen to your favorite beats normally when you can do it in major style? The Zakk Firefly Bluetooth Headset with LED Light Cable will bring major style into your listening experience with its unique LED lit cable. You will be able to run safely, even at night. Drive yourself forward and enjoy premium sounds, even when you are up to 10 meters away from your multimedia device. Being unrestrained and free to move is now combined with major style! MORE PLAYTIME, LESS CHARGING TIME The Zakk Firefly Bluetooth Headset with LED Light Cable will become your constant entertainment companion. Whether you are at work, at the gym, chilling at home or going out for a walk, Zakk Firefly Bluetooth Headset with LED Light Cable will give you 6 hours of listening to your favorite beats, non-stop! When you run out of charge, the headset can recharge in no time thanks to the quick charge feature. Just plug the Zakk Firefly Bluetooth Headset to an electricity source and recharge your headset for your next using time. LIVING LIFE ON THE GO Groove, dance and jump to the beats playing in your ears without worrying about the cable stopping you! Connect your mobile, tablet, PC or laptop to your Zakk Firefly Bluetooth Headset with LED Light Cable through Bluetooth and enjoy a cable-free experience! You can now move freely up to 10 meters away from your device without a single worry and without disturbing your connecting in the slightest bit.